Ideally, I would have had a block with a solid centre but there wasn't one available so I made good use of a Courthouse Steps block to get the same effect. Unfortunately, this meant that the design of the animal fabric isn't as clear I would have liked, because it is made up of 5 small pieces instead of 1 large one, but I really like the effect it had on the borders because it almost looks like it has been sewn together. 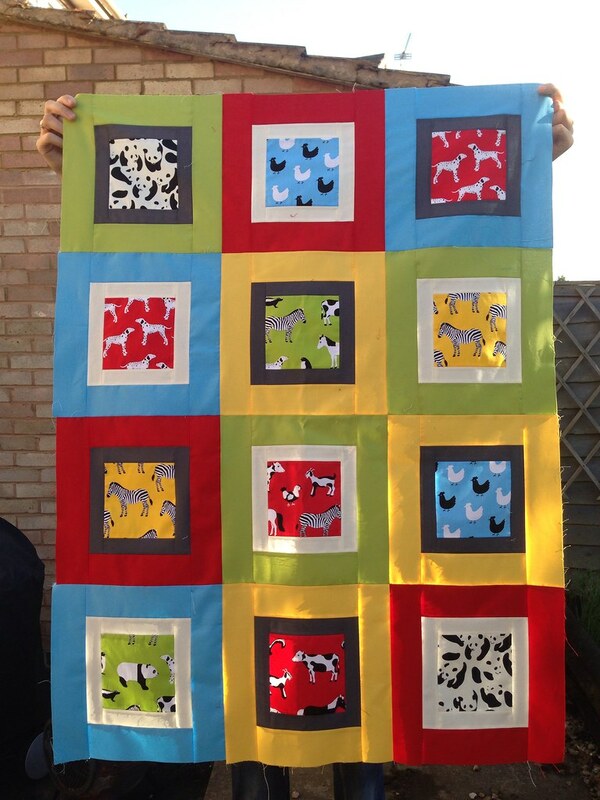 I have beavering away on the quilt top to show you and I am so pleased with how it turned out, it is a simple way to display these lovely patterns. And it even looks remarkably like my initial design too! We have a Quiltography winner! 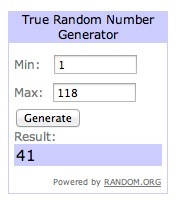 The Sew Mama Sew Giveaway officially closed in the early hours of this morning and using random.org's number generating app the winner is... drumroll please... #41!!! 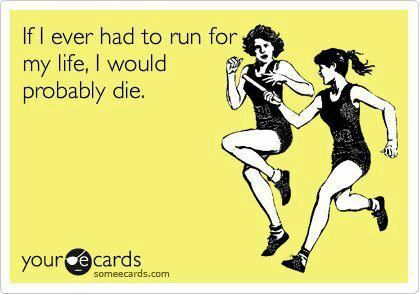 option I can use on the go. :)"
Congratulations, Mary; I will email you shortly with all the details you need to claim your prize! 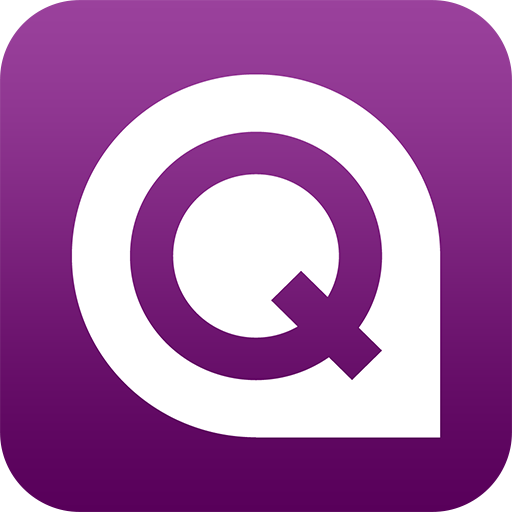 If you have already downloaded your very own copy of Quiltography and you're liking it then why not stop by the App Store anyway to leave a review? 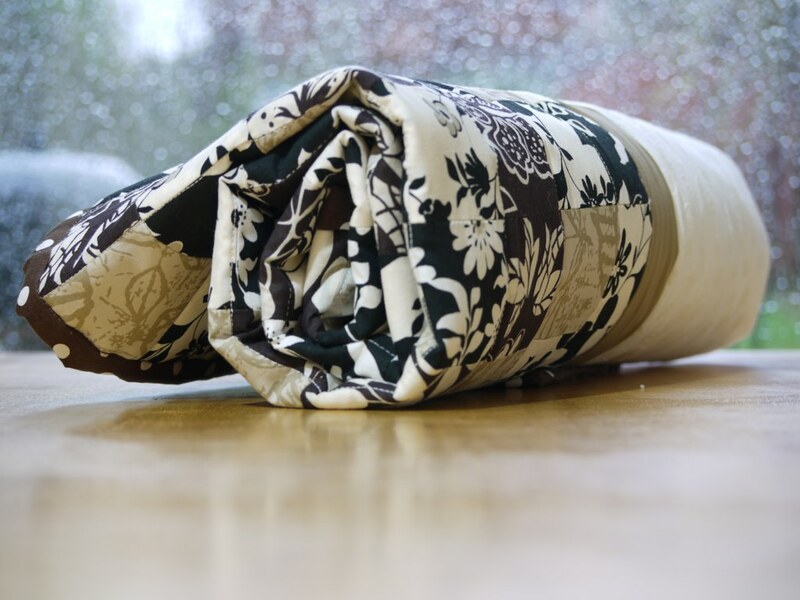 If you have any questions or suggestions about Quiltography then please get in touch by email or at Quiltography.co.uk and we'd love to help you out! Fat Quarterly Retreat... I'm Coming! Thanks to a bit of extra prodding encouragement from Flying Blind On A Rocket Cycle last week, I took the plunge and bought my Retreat ticket! I am really excited about it, as last year was a great way to meet loads of new (to me) quilters and I imagine this year as one big reunion! 1. Needleturn Appliqué by Mandy Noble - oh how I love a clamshell quilt, only last week I was researching different techniques, and what do you know; I decided applique was my favourite- the only trouble was that I don't know how to applique "properly" ... problem solved! 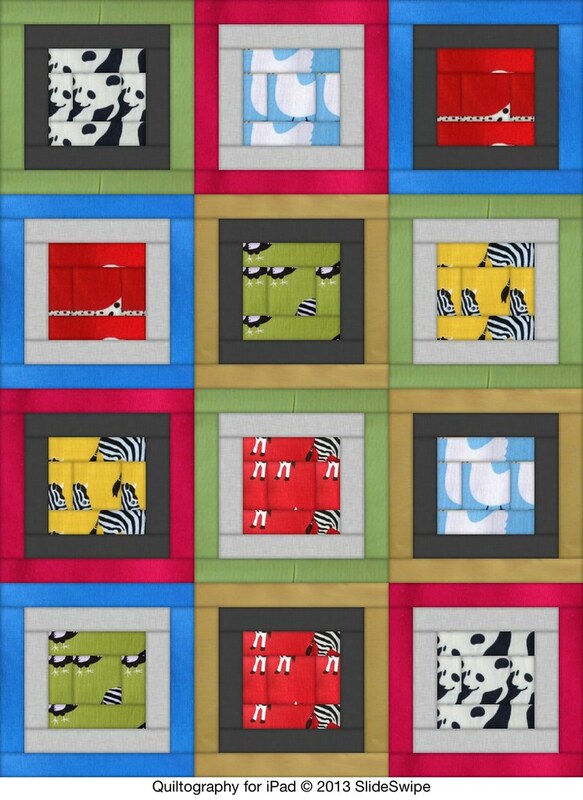 These have both been on my list of "quilts to make" practically since I started quilting and apart from a cathedral window pincushion I did for a secret santa swap over a year ago (a grand total of 2 windows) I have never really attempted either, so IF i get into both classes here's hoping this is the push I need! oooh lookie, I had forgotten about the fake cathedral windows on this one- they used far less fabric than the real thing! ps. I got so excited and spent so long deliberating over the options that I can't remember what my other choices were so I'm looking forward to a surprise when the email lands in my inbox! Having just realised the date on my last (pre-Quiltography) post, I thought I should include a couple of my latest Brit Bee pics. Miss February was Judith's month and she asked for 2 totally different blocks; 1 was a large HST, made up of small HST's that she is going to piece into a large star. 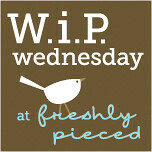 and the second was purple vintage prints in a pez design. Ceri was our wonderful Miss April who asked us each to provide a doodle, that she then cleverly screen printed and sent out to us with the rest of the fabric pack so that we could include it in our blocks! She must have been beavering away for days as we each got back handfuls of charm squares of our own doodles in a variety of colours! 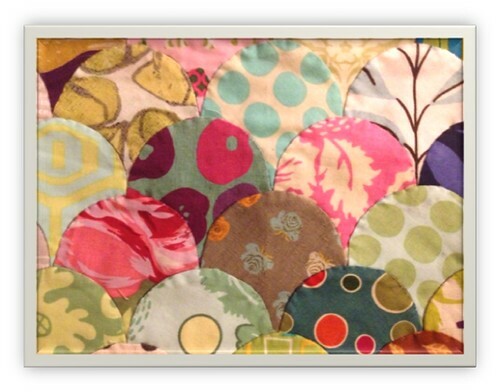 Phew that was a big catchup, but now I am all up to date and ready to move on with other quilty goodness! the winner later on today and will link back! 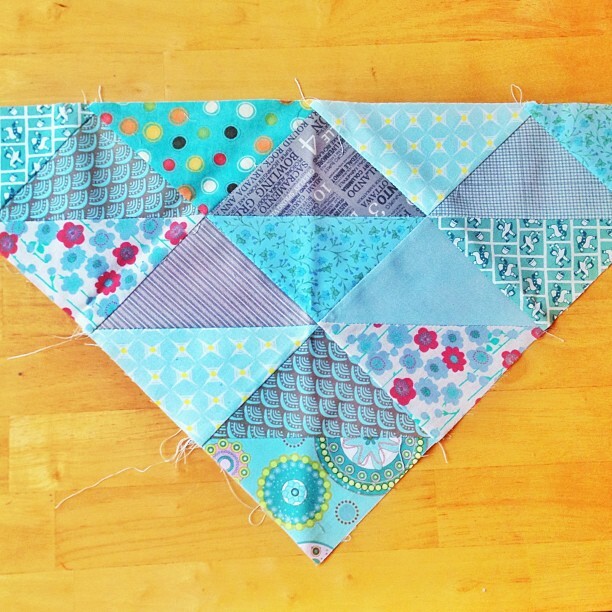 In honour of Sew Mama Sew's Big Giveaway Day (and mostly because I just want to play along!) 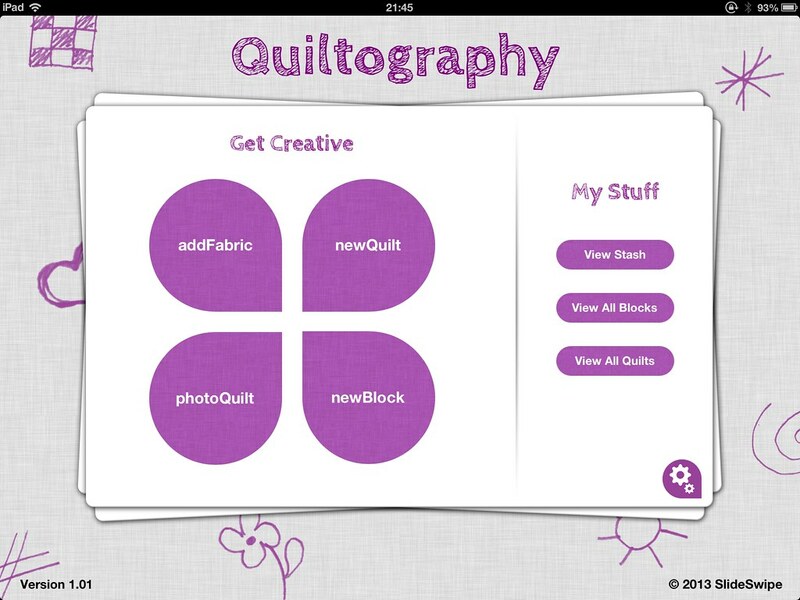 I will be giving away a copy of Quiltography for iPad. 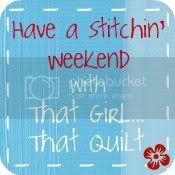 Hello to everyone that has come over from Sew Mama Sew and a special hello to anyone that normally stops by anyway! 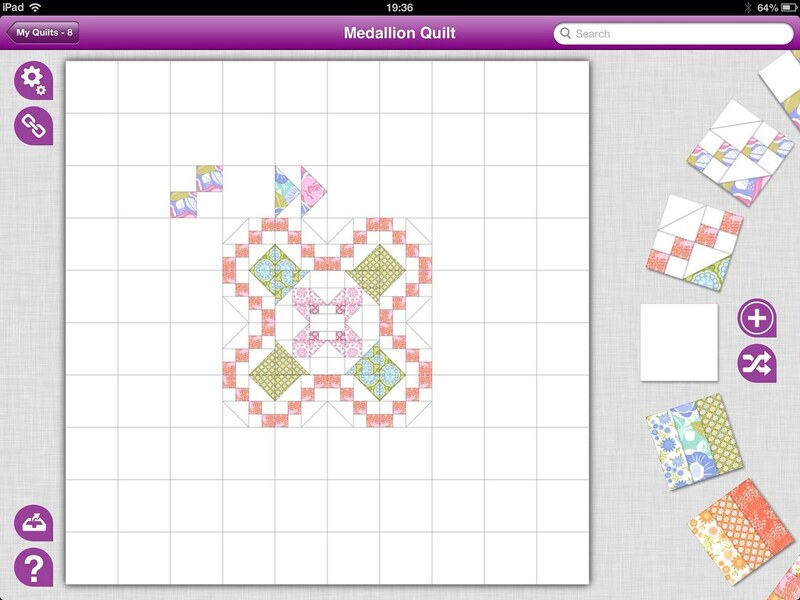 Quiltography is a brand new iPad app for quilters. 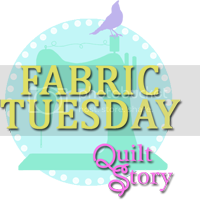 It is a quilt design tool that reduces the need to buy quilt patterns, makes it quick and easy to audition fabrics and most importantly limits fabric wastage! 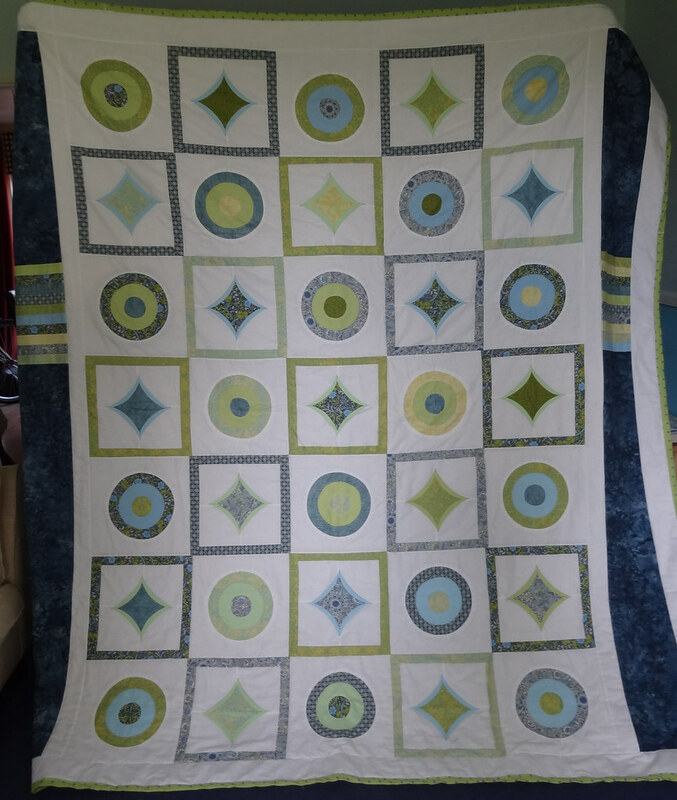 My boyfriend and I have been working on Quiltography for nearly 2 years and it is great to finally be able to share it with everyone. So please go check it out and the App Store to see if it's just the iPad tool you have been looking for. 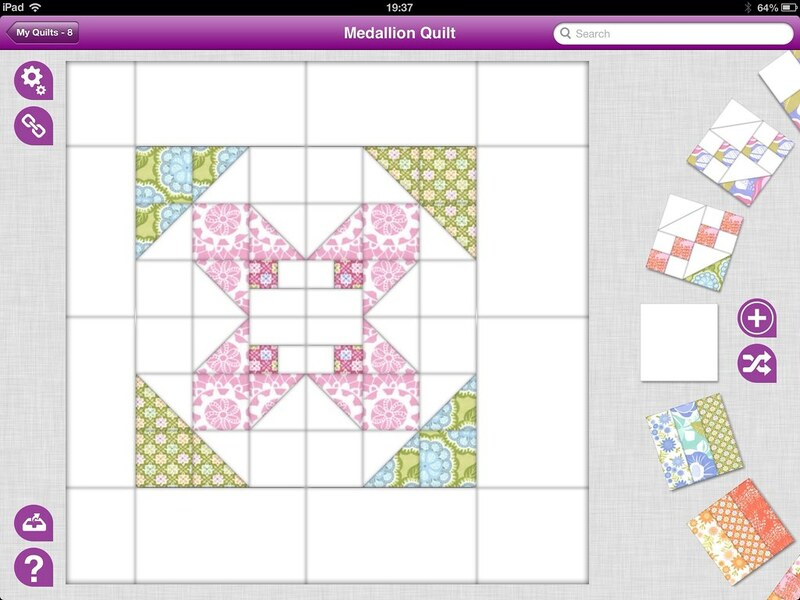 You can read all about Quiltography for iPad on the App Store listing here, check out my previous blog posts here and here, or see what Lily's Quilts had to say about it here and you can check out loads of images here. Entering is simple; leave one comment on this post so we can all get to know each other better. For extra entries come back and leave another comment with a link if you have mentioned #Quiltography in a blog post / on twitter / facebook / google+... you can leave 1 additional comment for each share. 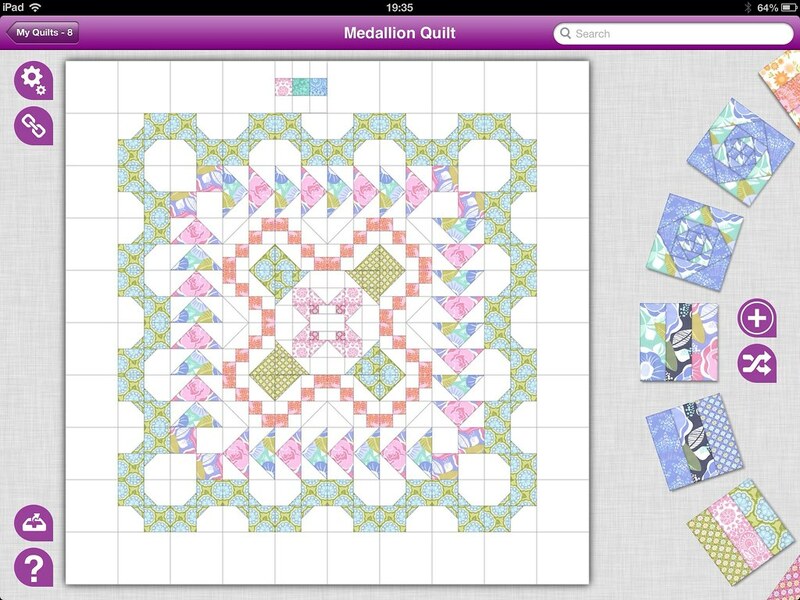 Please note that Quiltography currently only runs on iPad; unfortunately we can't offer it for iPhone, iPod or any android devices at this time (as my poor boyfriend only has 2 hands) but hopefully it will be available in the future. 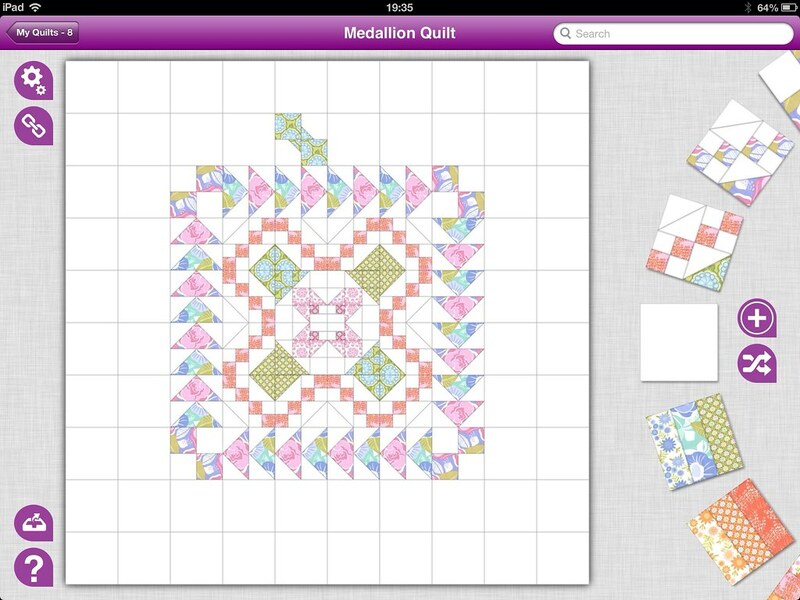 I have been playing about with the design possibilities of Quiltography and have spent a little bit of time trying out a Medallion Quilt. I have never got around to making a real one, but a digital version seemed within my grasp. 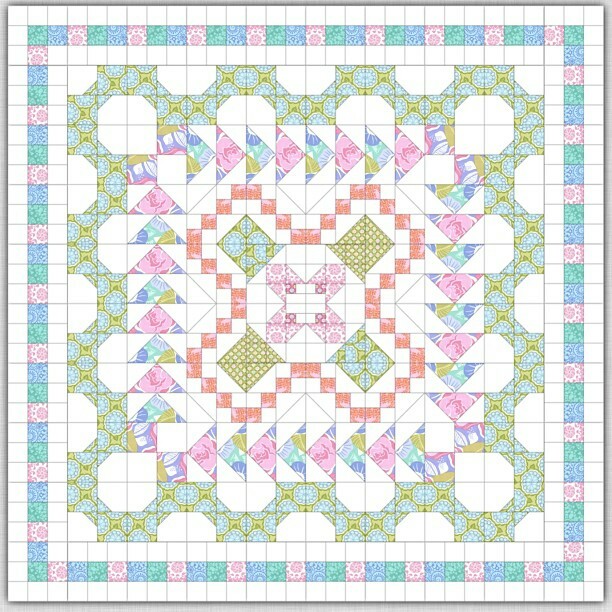 For the central medallion I chose a block from the templates that could be rotated about a central point to form another block- my favorites were on point blocks and I had already created this flower on an earlier quilt. 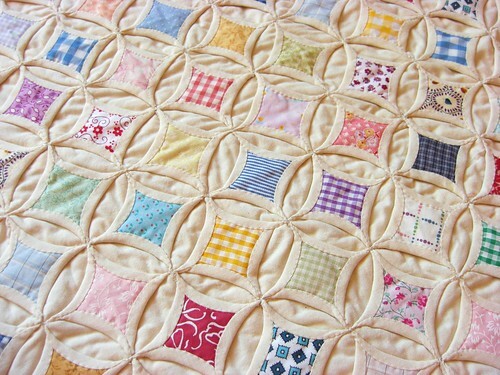 Make sure the set of 4 blocks that makes up your medallion, is in the centre of the quilt; then it is just a case of working your way around in concentric circles. 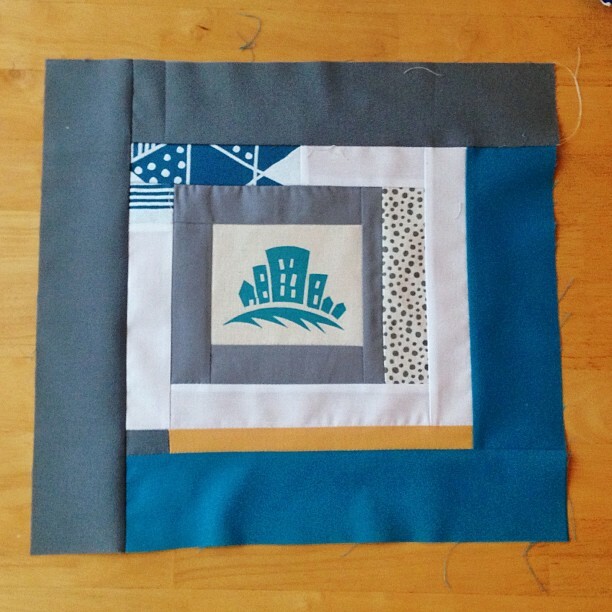 Round 1: I used a Jacob's Ladder style block, rotated and flipped to form a zig zag pattern around the centre. 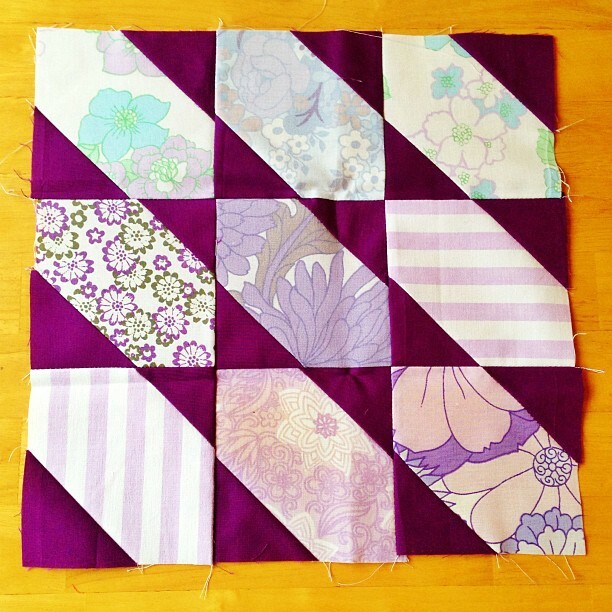 Round 2: A nice, easy flying geese block with a 4 square to mark the corners. 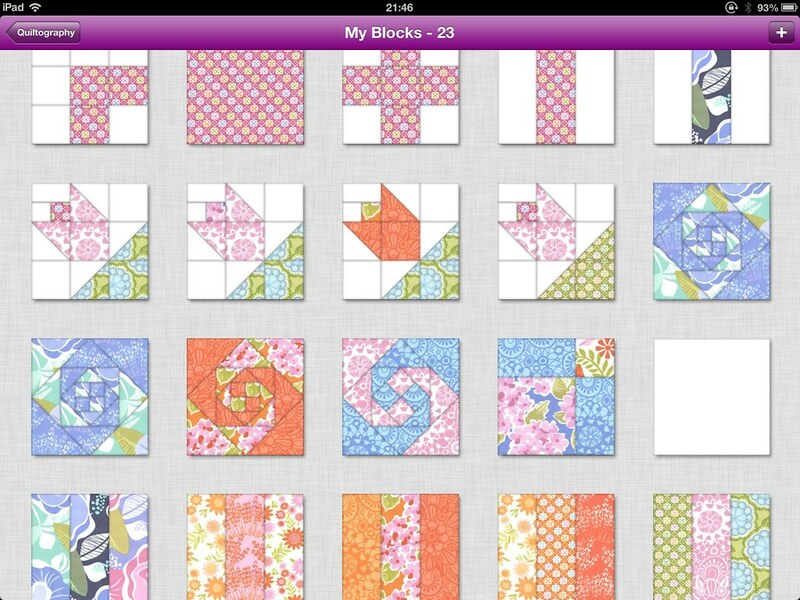 Round 3: Bowtie blocks are also useful for making zig zags as the pattern goes from corner to corner on the block. 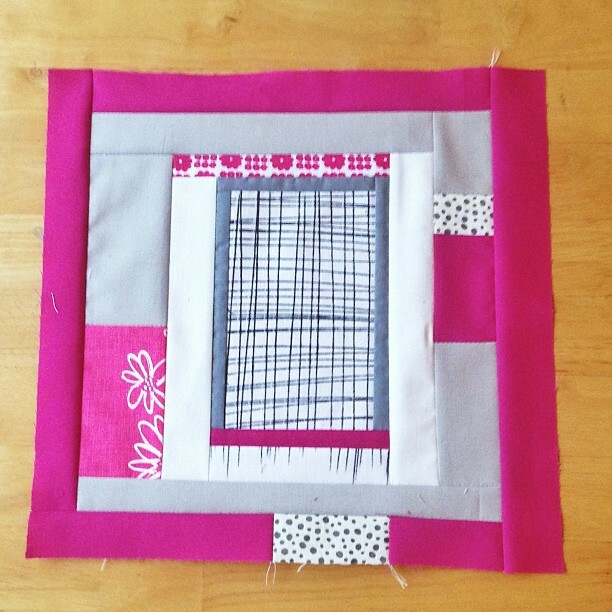 Round 4: Another simple block, this was is a 9 patch with 6 of the squares filled with white, to act as a border. 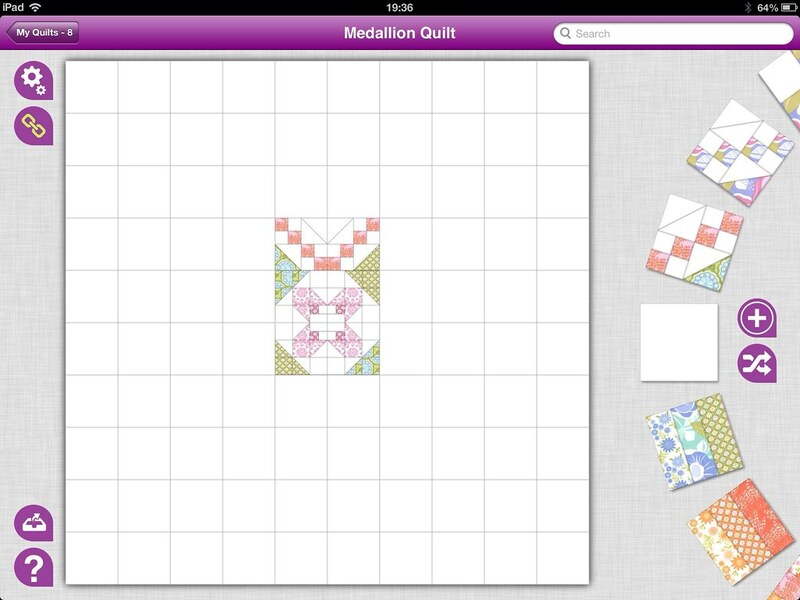 It is as simple as that; one medallion quilt, no waiting! 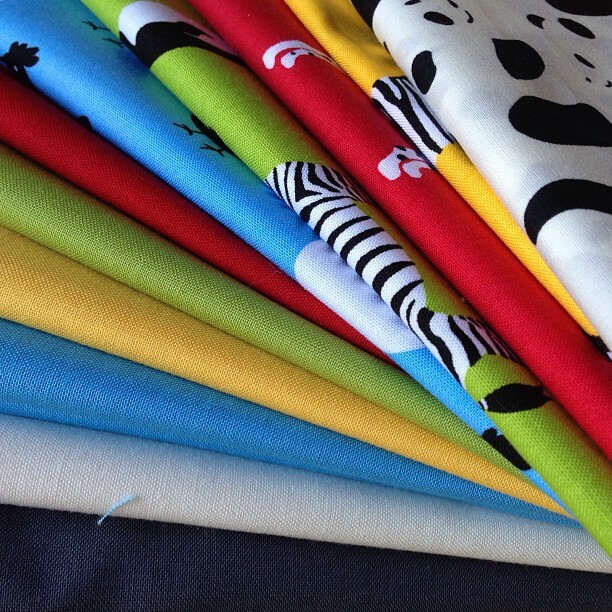 Come back tomorrow when I will be joining in with Sew Mama Sew's Big Giveaway Day!!! Quiltography; coming to an iPad near you!